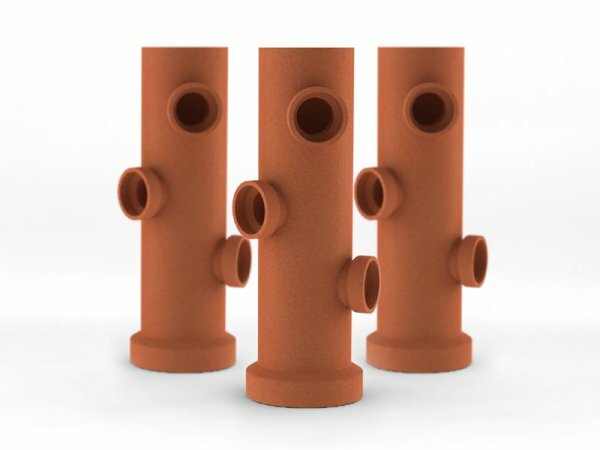 Set formed by 3 lamps made of extruded clay shaped as a clevis. In its interior, it has a white engobe layer and white latex paint to improve the projection of light through the cutouts in the piece’s walls. 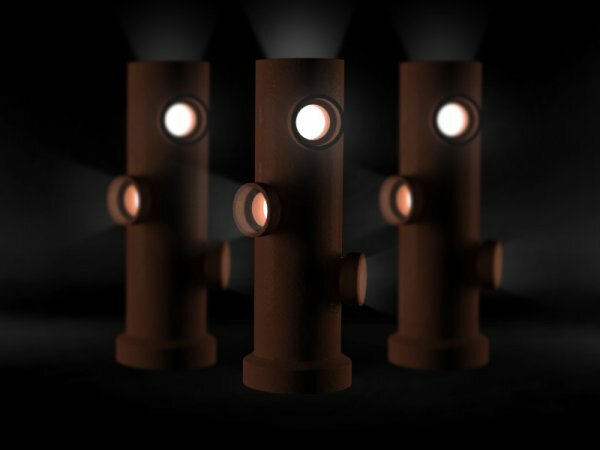 Each lamp has 3 smaller built-in clevises (connections). Each lamp has a built-in “top,” with an internal metallic support that beards 2 electronics cold lamp.